Sig Sauer P250/P320 Sub-Compact Small .45 ACP Grip Shell. Please note that the package for these could be marked as P250 but the P250 and P320 use the same grip shell. This is a new OEM Sig Sauer P250/P320 Sub-Compact Small grip shell for .45 ACP only. 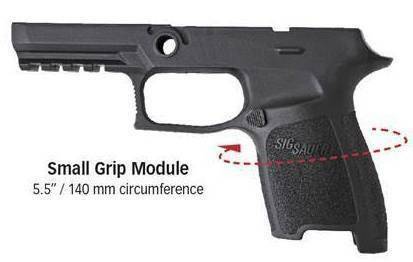 This will not work on 9mm, .40 S&W, and .357 SIG P250/P320 configurations.